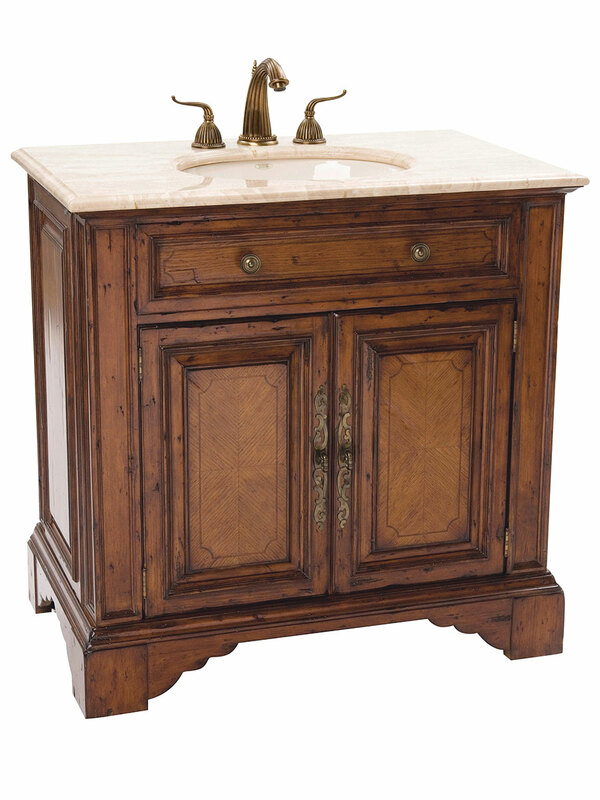 The 36" Bayne Single Vanity is a traditional vanity with solid, clean lines and with a beautiful finish. 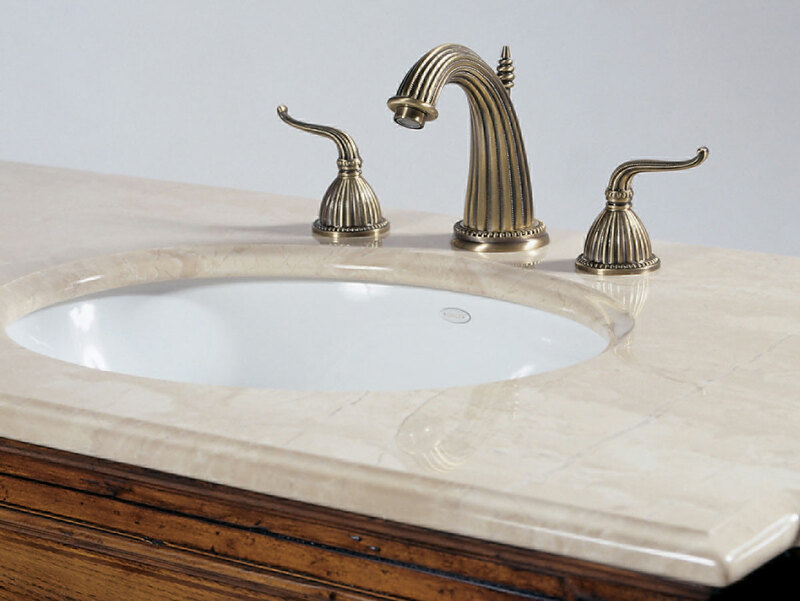 It features a cream marble counter top with an under mounted, white porcelain sink. This cabinet will look grand in just about any bathroom! 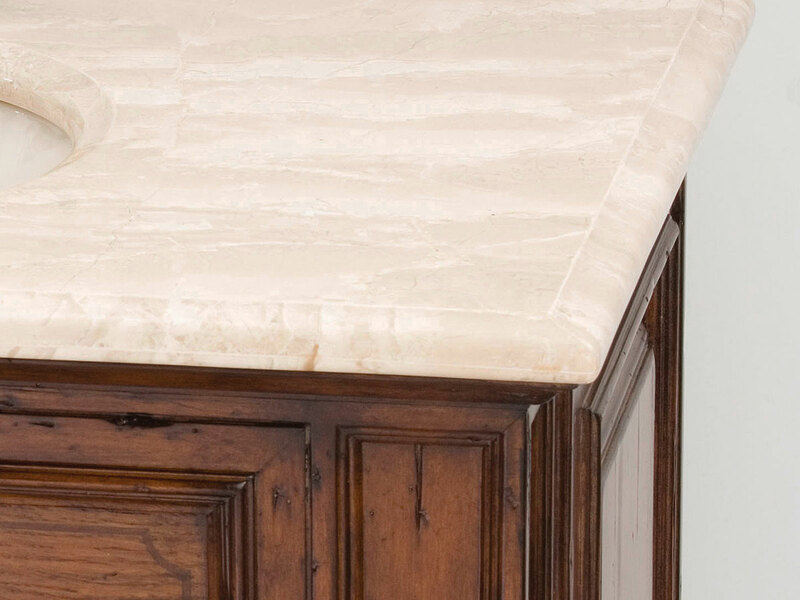 Crated from gmelina and finished in warm honey, this vanity features two doors, slight distressing and a cream marble top with balsa porcelain sink.